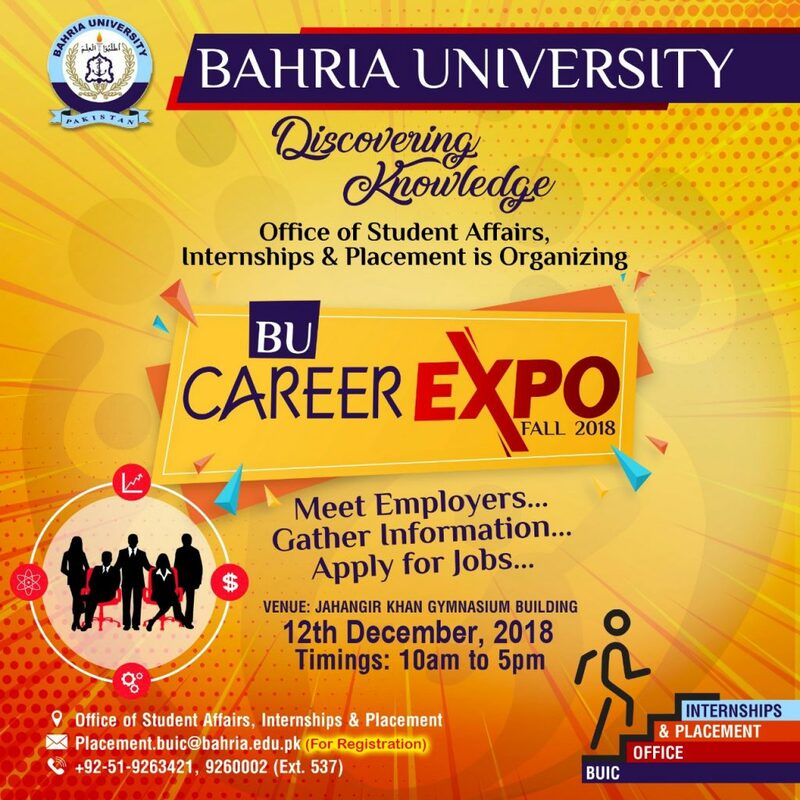 Bahria University Islamabad is organizing Career Expo Fall 2018 on 12th December 2018, Wednesday. This one-day free of cost event is strategically designed to introduce you to top-notch candidates of Bahria University who are looking for employment opportunities. The Expo will provide multiple innovative ways to brand your organization with students, alumni and faculty of Bahria University Islamabad. Students and graduates eagerly awaiting for Career Expo and get to know the employers who are attending the fair and offering different jobs. Your participation and presence will enhance your organization’s visibility on campus and stimulate student interest in your employment opportunities. Venue: Bahria University Islamabad Campus, Shangrilla Road, Sector E-8, Islamabad.